Next to the master tape’s quality, the tape machine plays a significant role in analogue mastering. It provides not only the audio signal but also the preview signal used by the cutting lathe for driving the cutter head – keyword: analogue delay. 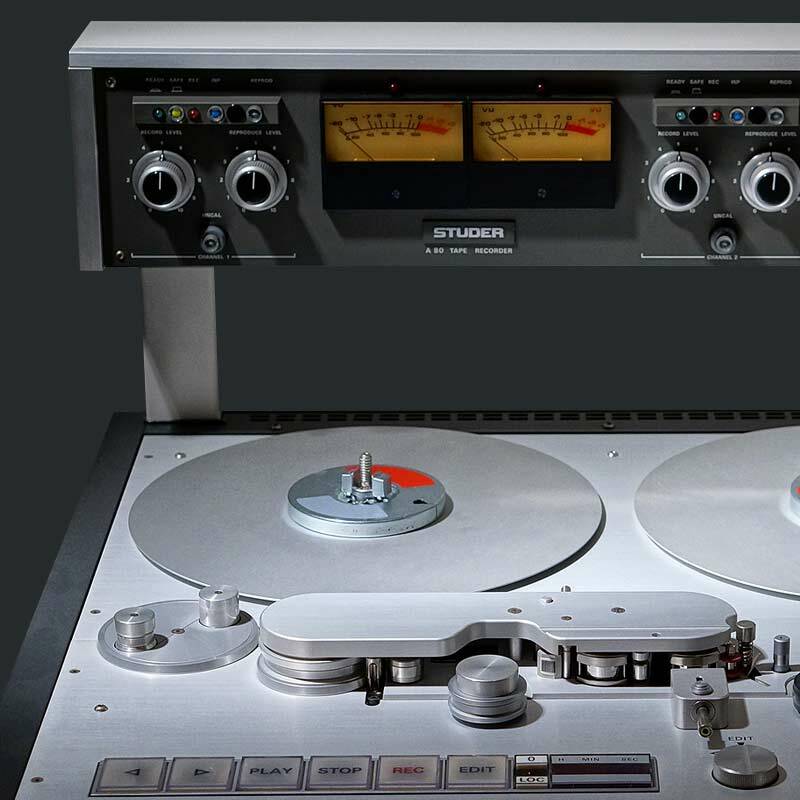 The most common tape machine used for lacquer recording is the Studer A80. However, tape machines manufactured by Telefunken, Scully and MCI are also used. In the case of Studer and Telefunken, the spare parts supply is still good, thus, a machine can always be restored to its original specifications. This however can entail significant financial costs. For a complete replace­ment of tape heads, which have a lifespan of about 5000-10000 hours, a four-digit sum must be anticipated. Despite many announcements, brand new tape machines are not available at the moment (status as of mid-2017). 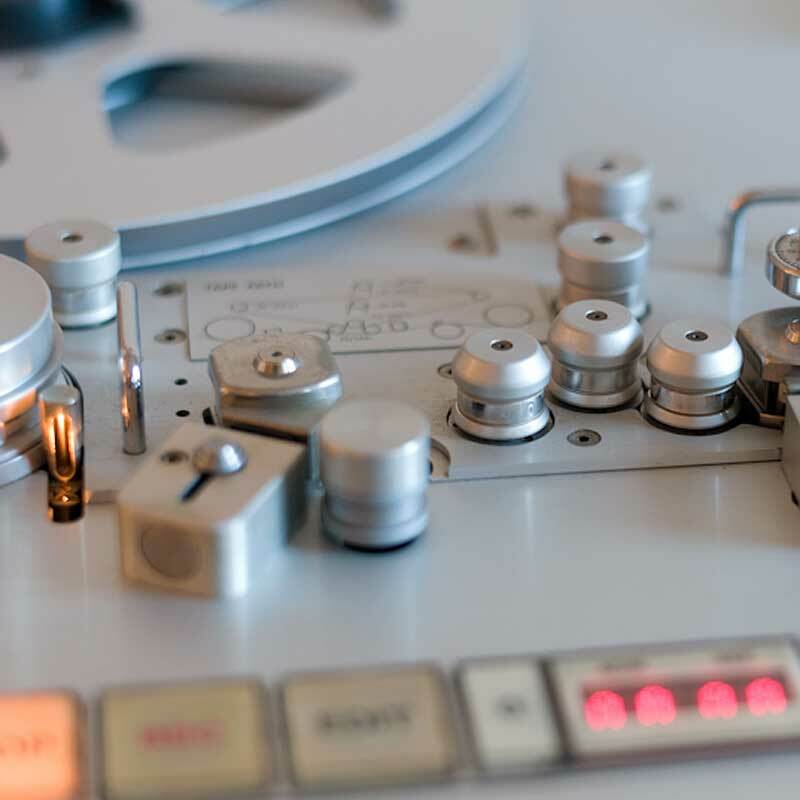 The demand for tape machines is way higher than the supply – and machines with analogue delay are not being offered at all. Upgrading a used machine with an analogue delay would be technically possible but also uneconomic. Therefore, each mastering studio treasures and maintains its own collection of tape machines. Why is using an analogue delay so important? 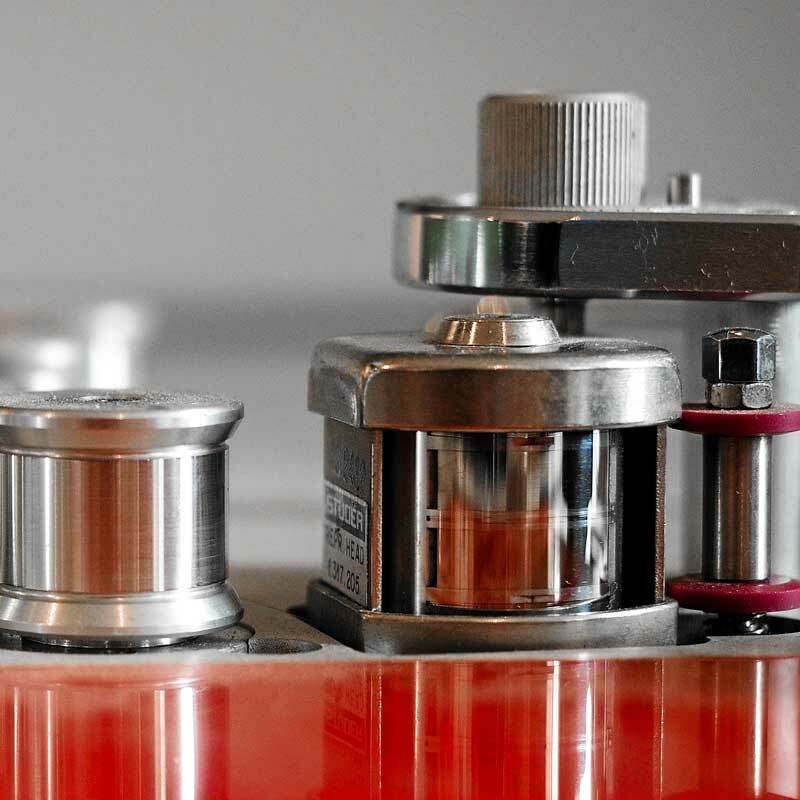 In the early period of vinyl records, the signal from the master tape was cut directly into the lacquer. Due to the constant groove width, only a very limited playback time per side could be achieved. The groove width however, can be adjusted depending on signal’s level and since the 1950s, the so called “variable pitch” was used for cutting master lacquers – this method extended the playback time of an LP by about 60%. At the cutting machine, the cutter head’s drive receives the preview information before the actual music signal in order to provide enough space on the lacquer for the necessary groove width. The music signal must therefore be delayed by exactly the time that the LP needs for half a revolution. This so-called analogue delay consists of two tape heads and a deflection over several rolls. 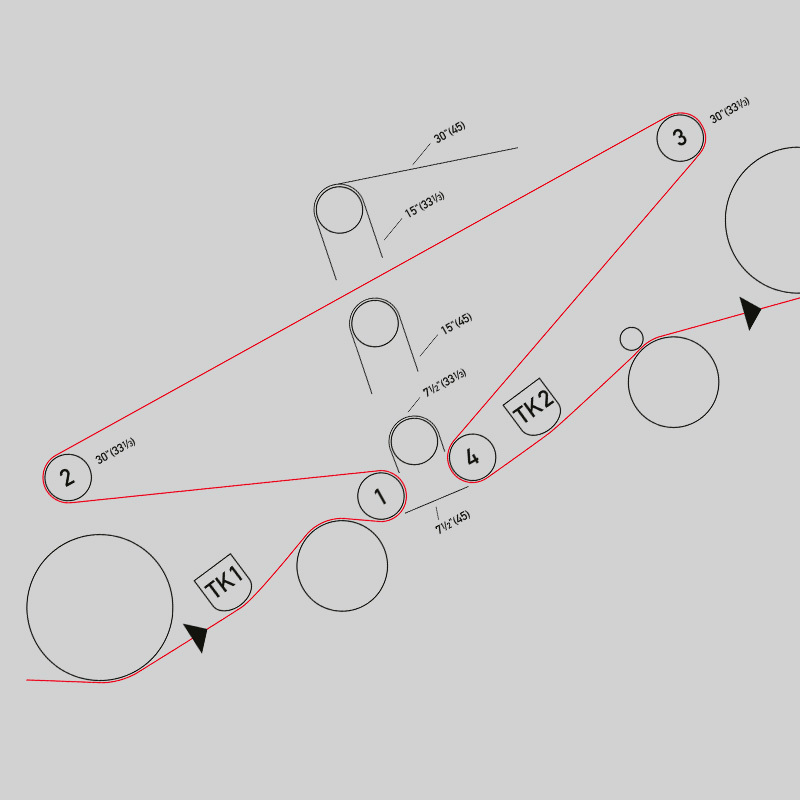 The function is almost self-explanatory when looking at the course of the tape. Coming from the left-hand reel disc, the tape first reaches the first tape head at which the signal for the cutter head drive is picked up. Thereafter, the tape passes over several pulleys before it reaches the second tape head for the music signal. The time required for this corresponds exactly to the time it takes for the LP to make half a rotation. As mentioned earlier, tape machines with analogue delay are rare and pricey. Therefore, unfortunately the use of digital delays for lacquer mastering is resorted to nowadays. There are specially manufactured devices for this purpose, which usually have only CD resolution. Computer based equipment could also be used. Still, the crucial point is that the music signal is digitalised and therefore limited in quality by the delay process, even if the original source was an analogue tape. Speakers Corner Records guarantees that only analogue delays are being used when producing lacquer masters.